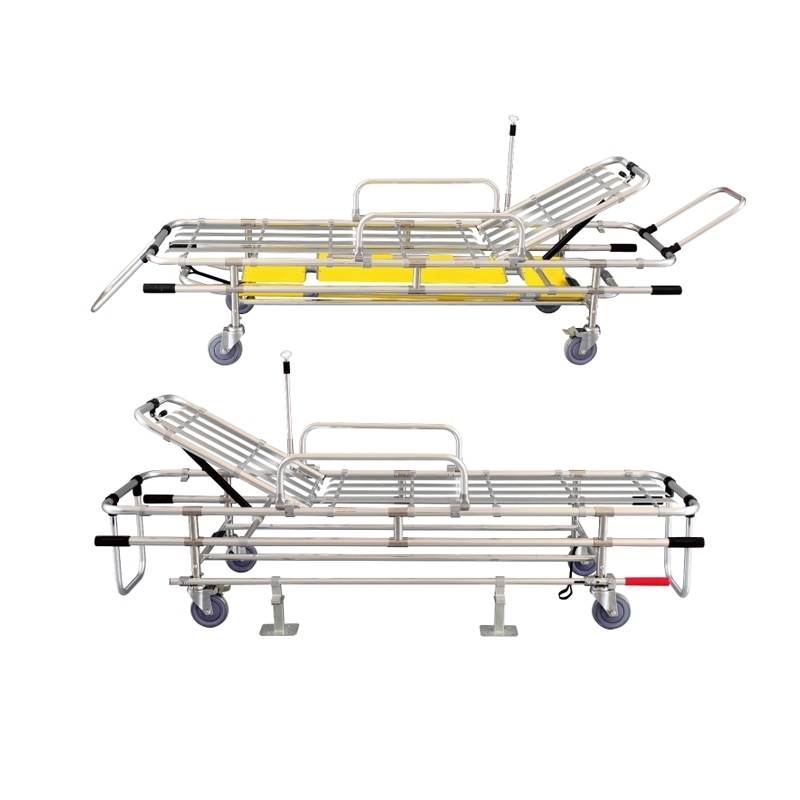 This is standard, fixed height ambulance stretcher with aluminum alloy construction. Four swivel wheels foamed cushion surface. The back can adjust up . Equipped with safety locks., there are four telescopic handles at both ends. 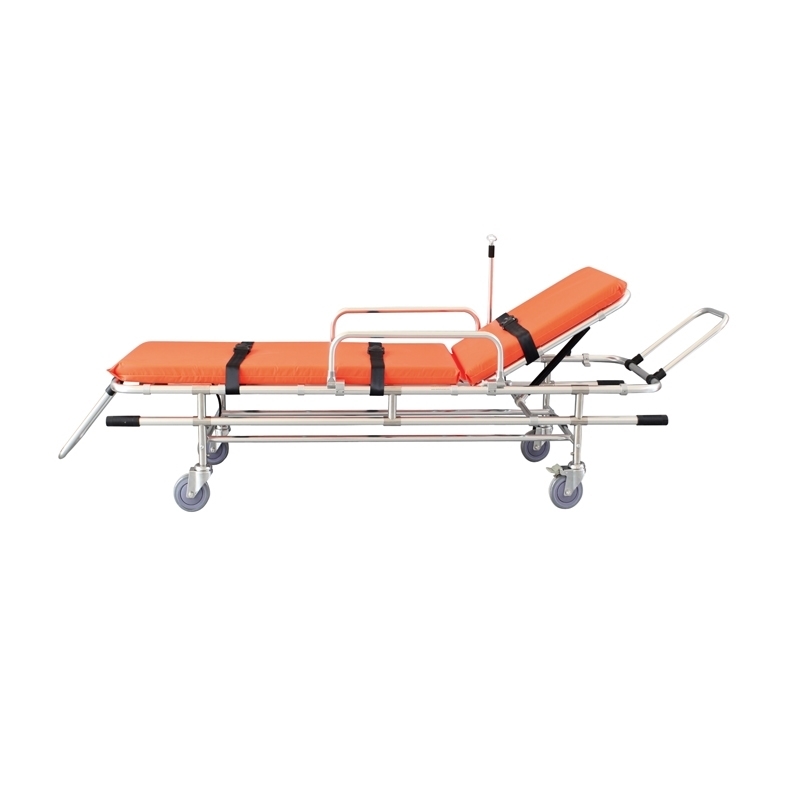 Standard, fixed height ambulance stretcher made with lightweight aluminum alloy construction.The stretcher is used for carrying patients and the wounded people for the hospitals, emergency center and gymnasiums. Its aluminum alloy material, four φ125mm universal swivel wheels helps in operating this device. The ambulance stretcher's top pad surface is made of foamed cushion, is waterproof. For added comfort to the patient, the back is adjusts up to 65 degrees. This stretcher is also equipped with safety locks, and must be locked up when transporting patients. At both ends, there are four telescopic handles which can be pulled out and can help EMT to lift onto ambulance. This ambulance stretcher also has three straps to help bind a patient while in transit and to ensure safety. 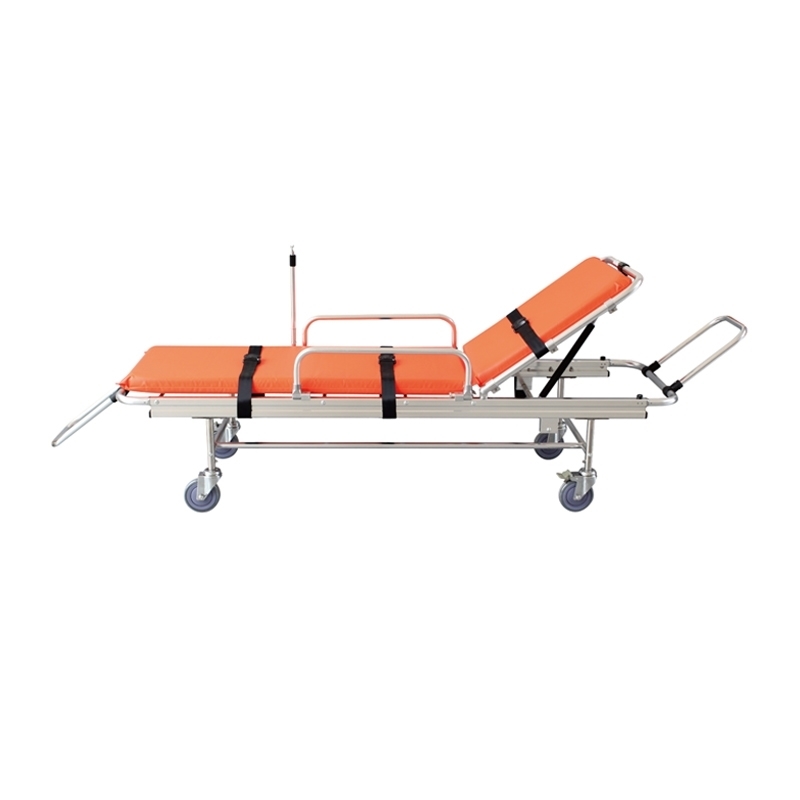 Low position stretcher, suitable for low height board ambulance. Mainly used fir the ambulance: the wheel hub height is less than 29 cm.